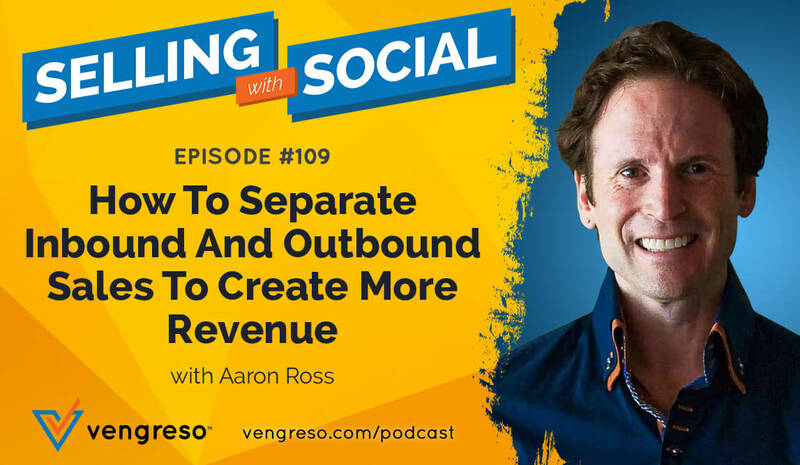 We all want more sales wins, and my guest on this episode of #SellingWithSocial is going to break down a simple framework that will help us get them. 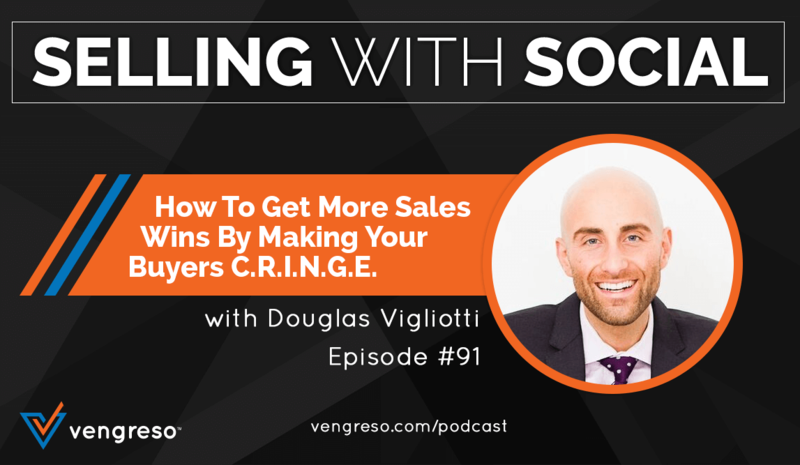 Doug Vigliotti is a writer, speaker, podcast host, and consultant. He’s the bestselling author of “The Salesperson Paradox,” host of “It’s Not What It Seems,” a podcast to inspire open-mindedness, and Managing Member of groundupSALES, a strategic selling partner for small business owners. With over twelve years of customer-facing experience across three different industries and two Fortune 500 companies, he’s a well-documented top performer. 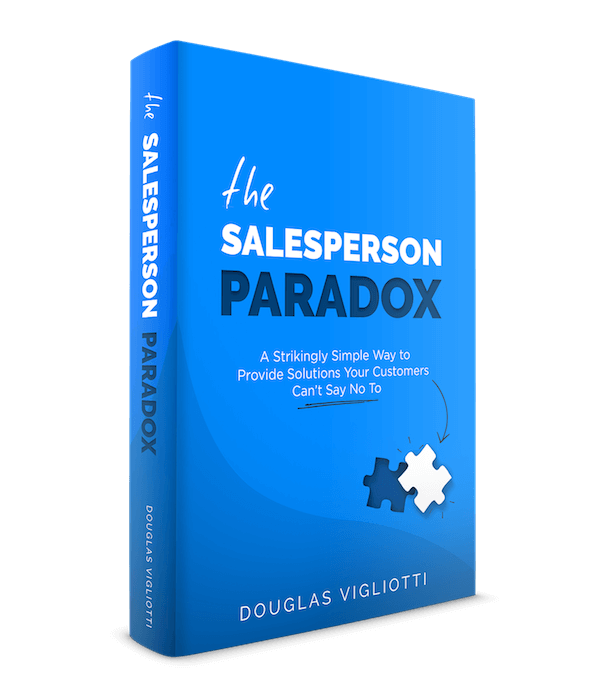 Join me as Doug and I discuss his book, “The Salesperson Paradox” and how his C.R.I.N.G.E. framework enables sales professionals to simplify their sales approach to attain more sales wins. The vast majority of sales professionals polled would say that they got into sales because of the great opportunity to make money. It’s natural, and there’s nothing wrong with it at all. But Doug points out that our innate “me first” approach has to be abandoned if we want more sales wins. Why is that? Because sales is the art of helping – and you can’t help customers if you’re not thinking of their needs, wants, and problems first. The beautiful thing is that once you get your thinking turned around to a “customer first” perspective to discover and solve their problems, you begin to experience the increase in sales that produces the cash you were hoping for in the first place. Doug shares a number of helpful illustrations and concepts about how it works on this episode, so be sure you listen! Doug points out an interesting phenomenon that happens whenever a person says “No” to something they really want. They cringe as they say it, because they want it so bad. He says sellers need to do such a good job presenting their solutions that buyers have to cringe if they are going to say “No” to the offer. He uses the acronym, C.R.I.N.G.E. to help us remember the basic elements that create this kind of cringe-worthy offer. Doug goes into detail on each of these, including foundational questions you can ask at each stage to truly discover if your offer is going to make your buyer cringe, so don’t miss it! Doug suggests that you run your email through a quick “litmus test” before you hit “send.” Ask yourself, “Would I say this to the person receiving it if I were to meet them face to face?” If you wouldn’t, you shouldn’t be sending the email. Why, because it’s not personalized enough. 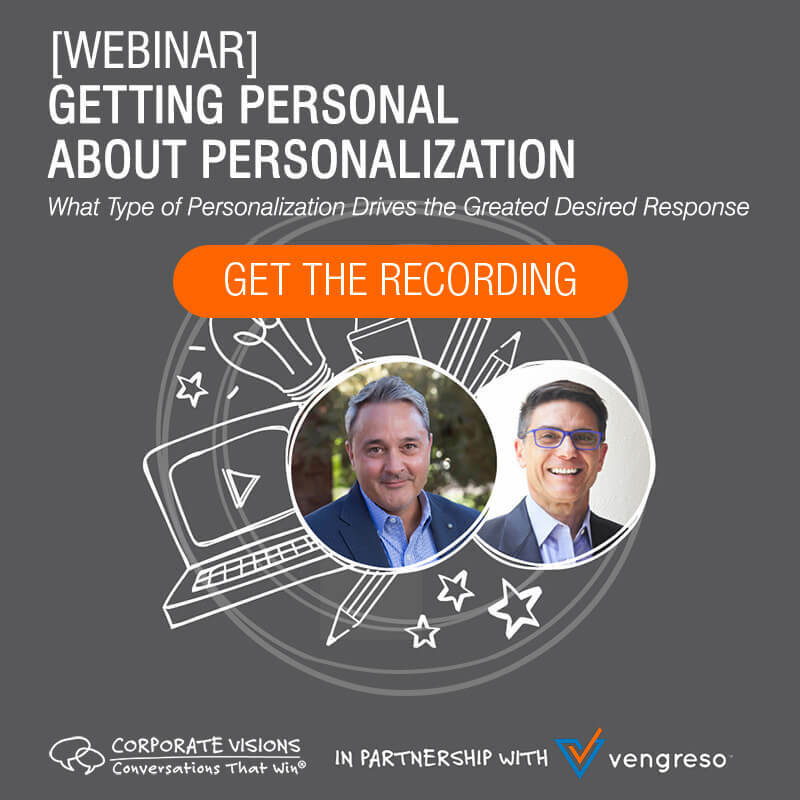 Personalization is what gets you past the natural skepticism your prospects already have to sales messages. It shows them that you have taken the time to understand them and their problems – that you CARE about who they are and what they need. That’s how you open the door to start a conversation that could lead to a sales win. One aspect of Doug’s advice that is so refreshing is that the things he suggests are simple – in fact, his entire C.R.I.N.G.E framework is based on simplicity. Look at any highly successful business – Facebook, Apple, Uber – they have all accomplished virtually the same thing: a simple, reproducible process for selling and delivering their product or service that makes it easy for consumers to buy over and over. The main component of that formula is SIMPLICITY. It’s what makes the product easy to use and understand. It’s what makes the buying process easy. In Doug’s model, the acronym helps us simply keep track of how we are formulating and presenting our sales messaging. Continue listening to hear Doug’s list of reasons we DON’T simplify our sales processes, and learn his solutions. 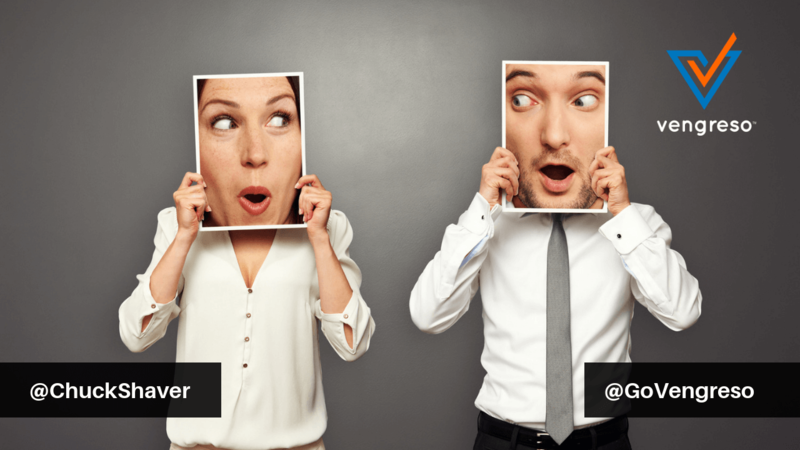 [6:11] What is the salesperson paradox? [15:46] Is simplicity important to the sales process these days? [23:39] How can you create wonderful cringe moments for your clients?